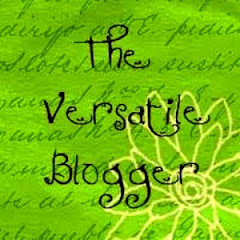 Imagine harmonica riffs in the background as I tell you I'm transferring one of my two blogs to another platform and adding a third blog. This transfer and adoption will better meet my needs and locate my posts in a more reader-invested environment. 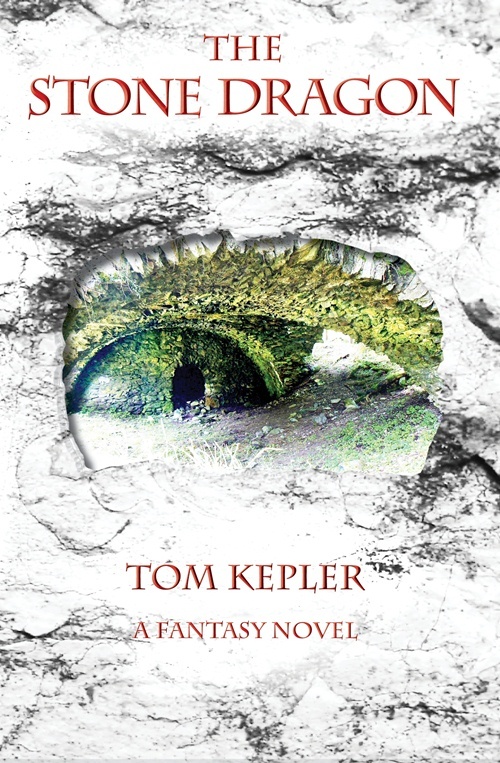 First of all, this blog, Tom Kepler Writing, will remain the same. I use it for writing about the process of writing, for writing about my writing, and for premiering my writing. My attention has been more on my family lately and these posts have been few, but this is a good blog for me, since I've been writing--for my own joy--for the last fifty years. However, sometimes I find posts slip in that are outside the original scope of this blog. That's why I started a second blog about bicycling, another great joy in my life. My second blog, Tom Kepler Bicycling, is going to be dropped, at least how it is now structured. I still ride and enjoy writing about bicycling, but I feel the blog never had the audience I wanted. The solution? Crazy Guy on a Bike. This is a website, crazyguyonabike.com, that I already use because the website is used by thousands of other bicyclers interested in bicycle touring, so when I post a journal of a ride I've finished, or of a product I've reviewed, or an essay on bicycle riding, I have an instant audience. Therefore,I won't be dropping my bicycle writing, just moving to a more lively platform. (In fact, what I've been doing is double-posting my bike writing to both my blog and CGOAB. I'm just simplifying.) When I post a journal or article to CGOAB, I'll then post that information on Facebook and probably also develop a list of emails of readers who would like to be informed by email. 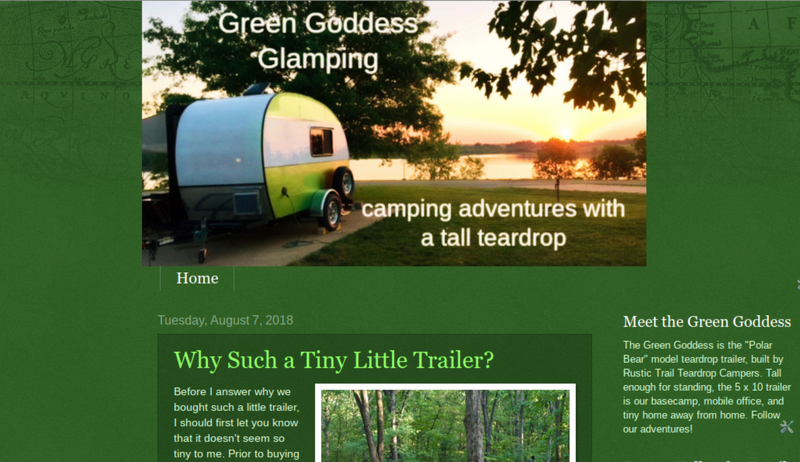 I now have a new blog, Green Goddess Glamping (greengoddessglamping.com), which focuses on my adventures with my new teardrop travel trailer. I'm excited about this new blog because I write about what's important in my life--yes, even with fantasy writing, which is still about people and how we perceive reality and live in it. 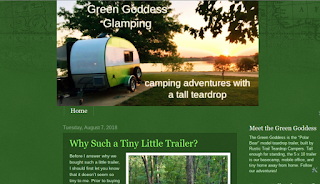 Green Goddess Glamping isn't just about a little RV travel trailer. It's really about sharing this new adventure with my wife. I love bicycle touring, but I do it alone. In fact, that's one of its attractions. However, I've missed having adventures with my wife. With little-trailer camping, we'll be having adventures together. We'll bring along our folding bikes and pedal together. Also, my wife will have a chance to get out of the office more because we are learning how to make the teardrop her mobile office for her consulting work. Of course, this specialization could get silly-ugly. I could have a cooking blog, I could have a gardening blog, I could have a movie review blog, I could have . . . well, you get the idea. However, Facebook must have some utility, so gardening or cooking posts to FB can provide me with some interaction with Friends (with a capital "F"). 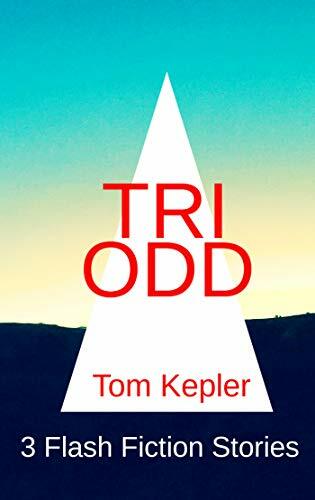 I can also differentiate between posting on my Facebook page, Tom Kepler Writing, or on my personal page, although to be honest, there does seem to be a good dollop of crossover.